Branded Riot V everywhere but Japan and South Korea. 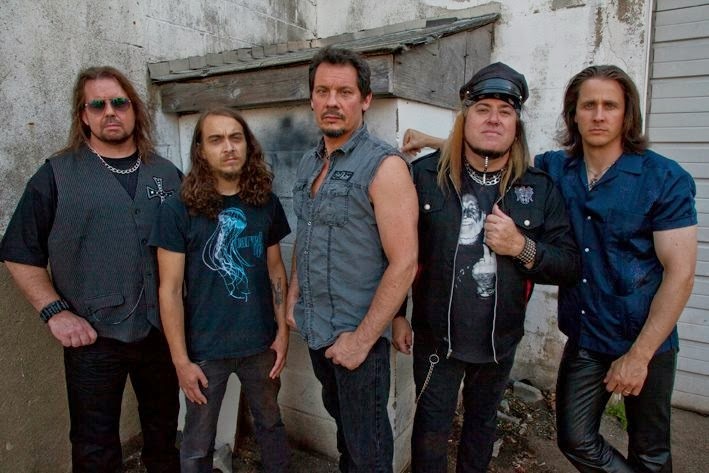 When Mark Reale succumbed to Crohn's disease in 2012, the metal world reeled in shock. Two months earlier, Riot had just released the well-received Immortal Soul, and the five-piece was on their way to the top, welcoming old-time mates, Tony Moore and Bobby Jarzombek, back into the fold. But when Reale suddenly passed away after slipping into a coma, all fame and fortunate suddenly flew out the window, causing the band's future to hang in limbo. Could Riot really go on without its most constant, founding, and essential member? Many blurted a resounding "no," noting Reale's role in forming and maintaining Riot for the [then] past 37 years. He was the music's backbone, after all, and usually stood at the helm of decision making, guiding the band just as he would his own child (in many ways, it was). Taking a closer look at Immortal Soul, however, reveals a few startling facts, one of which suggests the band is perfectly capable of channeling Reale's spirit, while soldiering on in his memory at the same time. Only four tracks from the record bear Reale's signature guitar bite because his illness prevented him from entering the studio to indulge in his passion of the past three decades--a sad state of affairs, yes, but the dedication to record in the first place is demanding of respect. But that's not to say Riot is 100% Riot without Reale, of course. A certain mysticism is missing from the music, and there's nothing Unleash the Fire can do to recapture Reale's dynamic enthusiasm enjoyed by nearly every release since 1977. What it can do, however, is emulate Reale and pay a spiritual tribute--three of the five members (Moore and Jarzombek jumped ship after Immortal Soul and Reale's passing) were fortunate enough to have a part in past Riot efforts. 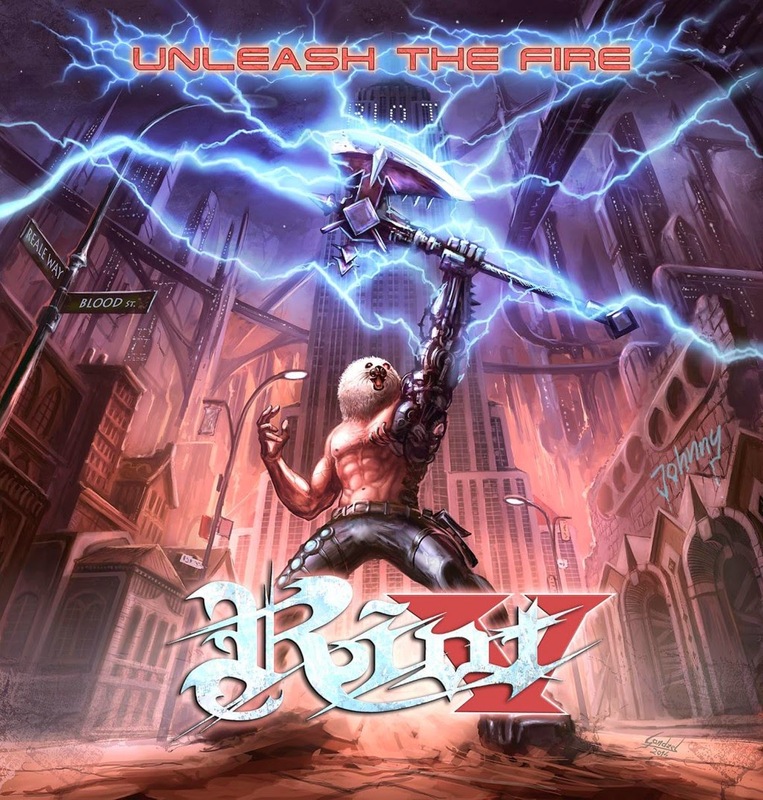 Musically, Unleash the Fire is strikingly similar to Thundersteel-era material while soldiering on with elements introduced during Immortal Soul. At one moment, the music will step back 25 years and borrow pieces from Reale's guitar playing while, at the next, feel fresh, though not without a nod to the past. This is particularly evident during the guitar solo nestled within "Metal Warrior's" midsection; no doubt were odds and ends borrowed as a tribute and, in fact, "Immortal" and "Until We Meet Again" continue to run with the same heartfelt appreciation as well. Naturally, all ears are on newcomer Todd Mitchell Hall, who filled in as Moore's replacement following his departure. To make a long story short, he sounds remarkably similar to Moore's current vocal set--but with less lower end to his voice--and could absolutely slip by undetected during Thundersteel's prime. Age has had a slight effect on Moore's voice today, but Hall is still chugging along full-steam ahead--he reaches to the skies and beyond, just as Moore did in the golden age. Ultimately, Unleash the Fire is a wonderful eulogy to Reale while being true to Riot's roots. As a fan who grew up listening to the band, this reviewer couldn't be more pleased--doubts lingered prior to the record's release, but one listen easily wiped any hesitation away. "Land of the Rising Sun," "Fall from the Sky," "Return of the Outlaw," etc. etc. etc. (the whole record is excellent!) would slot nicely into Riot's discography, and Reale would undoubtedly be proud that friends, old and new, came together in his memory. Good review, I'm a big fan of this band on any of all previous marks (1,2,3 and on) Mark Reale was a sole survivor, we will miss him, is now along with Rhett and Guy somewhere outhere. Narrow House - "The Midwife to Sorrows"